Burnley fell a goal behind yesterday in the development squad’s latest behind closed doors game but came back to beat Fleetwood Town 3-1 at their Poolfoot Farm training ground. Fleetwood were reportedly much the better side in the first half and, having seen one Kieran Wallace effort hit the bar, took the lead just before half time through Ashley Nadesan. However, the second half was a different story as the Clarets came back to win despite Fleetwood having more of the play. One of two trialists in the side equalised with an angled shot and within a few minutes we were in front when full back Arlen Birch (pictured) headed home a Brad Jackson corner. The home side tried to respond with Joe Davis, son of former Claret and current Crewe boss Steve Davis, coming closest, but we wrapped up the win with a third when Jackson set up Nashé Chakwana to rifle home before Conor Mitchell made a good last minute to prevent Fleetwood getting a second. The next game for the squad is next Wednesday when we face Liverpool in the Lancashire Senior Cup. The game kicks off at 7 p.m. with Prenton Park, home of Tranmere Rovers, the expected venue although this is to be confirmed. Fleetwood: Matt Urwin, Dominic Kerrigan, Spencer Myers, Trialist, Trialist, Joe Davis, Dion Charles, Kieran Wallace, Ashley Nadesan, Kieran Dunbar, Keano Deacon. 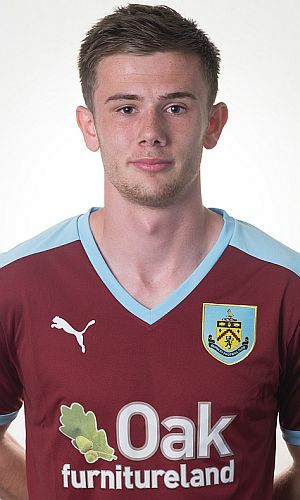 Burnley: Conor Mitchell, Arlen Birch, Jimmy Dunne, Taofiq Olomowewe, Ali Koiki, Brad Jackson, Trialist (Oliver Younger 80), Freddy Yao (Mark Howarth ht), Trialist, Nashé Chakwana (Tommy Wood 78), Jamie Thomas. Subs not used: Connor King, Robbie Leitch. The development squad’s Fixtures and Results can be found within U23/U18 Stats on the top menu.